Give your budding football player this perfect display for his shelf! This elite football trophy is crafted of solid resin and resembles antique pewter with golden highlights. 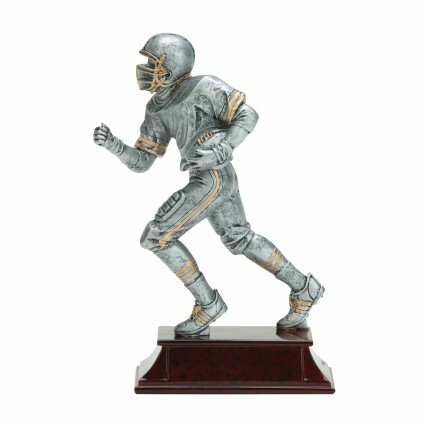 Depicting a male running back in a classic action pose, this trophy stands on a mahogany finish base and is the perfect gift for a future MVP. Give him one of these Elite Male Football Award Trophies today!